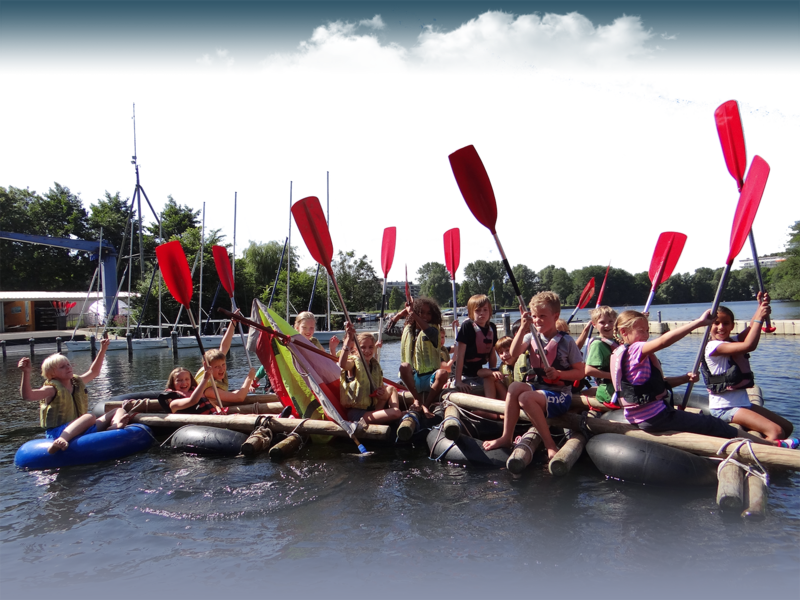 Water Sports Center Sloterplas is the best location for outdoor sports in Amsterdam. Sailing, Windsurfing, Canoeing and much more in combinations with our catering and terrace. 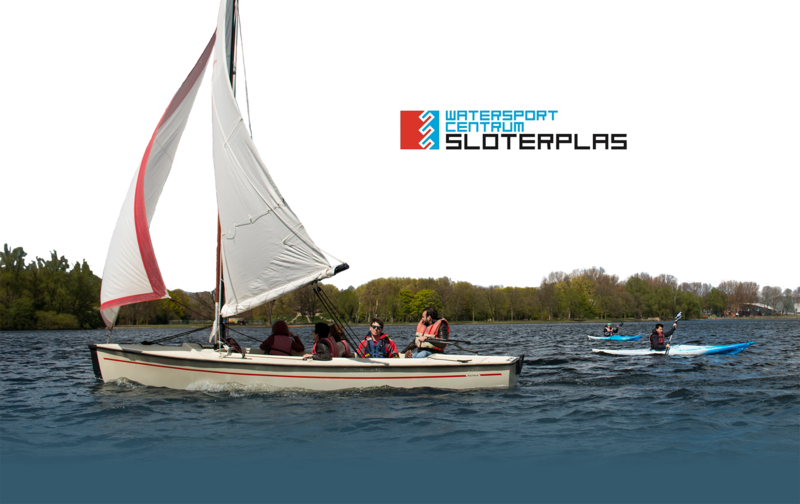 The Water Sports Center Sloterplas offers Sailing courses, Water Sports Parties, Splashweeks, School Sports, Clinics and Private sessions. Our instructors are ready to get the best out of you and will make sure you have a great time on the waters. Are you new to Sailing? Or would you like to refine your Sailing skills. We offer a diversity of Sailing Courses at all levels and for al ages. For kids between 8 and 12 years we use the Optimist. If you are 12 years of older, you could start sailing the Laser Vago, which is a real challenge. Adults can also have courses in these or choose an easier keel boat (Valk). All our instructors are professionally trained and look forward having you aboard! One of the most beautiful terraces in Amsterdam, you will find at Steiger 4 at the Sloterplas. With a view at our harbor, you can enjoy a nice sunset and relax with the sounds of nature. At only 15 minutes on bike from the city center, you are welcome to enjoy our drinks and food. Even in Winter you are welcome to warm up at the outdoor fire baskets. For years we organise the “Splashweken” in the May and Summer holidays. Kids from 8 until 16 years enjoy watersports for one week. at the Sloterplas. You can choose between Sailing, Windsurfing or a combination of watersports. In that case you are going to have different programs every day. Thousands of kids in Amsterdam have preceded you and had their first experience at our Splashweeks. If you finish the Splashweek successful you will also receive a certificate. Enjoy sailing in Amsterdam? At our Water Spors Center we have seven Keelboats ready for rent. Or rent a canoe or paddle boat and make a beautiful tour in the canals nearby. We recently also have sups (Stand Up Padle boards) for rent. Have a try at them and paddle the Sloterplas! Water Sports Center Sloterplas offers three different watersport parties. You can choose between canoeing, raft construction or optimist sailing. All parties are supervised by trained instructors, who will make sure you will have a memorable party!